We never cease to be amazed by the closeness we observe of Ex Cadets (usually classmates) meeting up and enjoying each others company. Almost a month never passes that we don’t come across a bunch of ‘buds’ doing something ‘special’ together. One such happening involves a number of Ex Cadets from the Class of 1969. 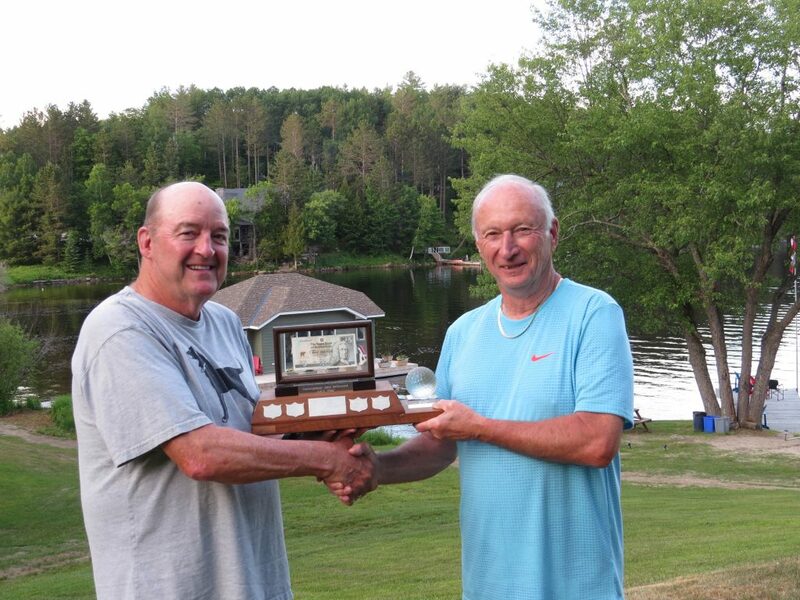 The 18th annual Class of ’69 Invitational Golf Event took place from 18-23 June in sunny Muskoka. The week was hosted by Bob Morton at the beautiful Mary Lake property of Mark & Debbie Pacinda. This is the fifth time we have had the privilege staying on their property and there are no words to express how grateful we are to Mark & Debbie. The RMC flag flew proudly from their dock for the entire week. Once again this year sixteen members of the class enjoyed a superb week of camaraderie, great food, occasional fine wine and largely mediocre golf. Early arrivals enjoyed a nine hole warm-up at the Diamond-in-the-Ruff course followed by a marathon five days of eighteen hole events at Deerhurst Lakeside, Huntsville Downs, North Granite Ridge, Muskoka Highlands and Grandview. The Friday night final banquet saw Brian Paradis crowned as the 2018 “golfer of the week” with the presentation being made by Bob Morton, the 2017 winner. To a man, we are looking forward to the 19th edition of this event which will be hosted by Doug Smith in Palm Springs, CA, in May 2019. 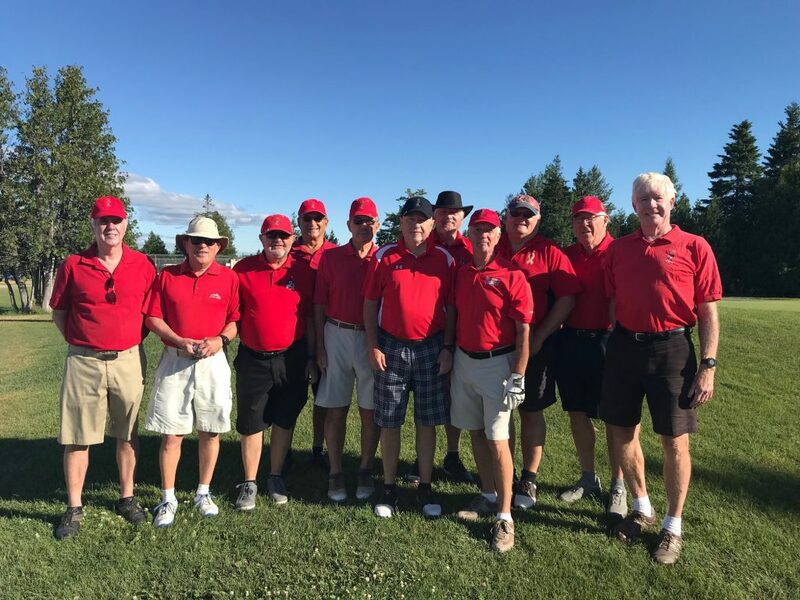 The 2018 Ottawa Branch Golf Tournament took place on Friday 6 July at the Greensmere Golf course. A large field of 141 golfers participated including family members and guests of the ex-cadets. The Class of ’69 was represented by twelve participants and thoroughly enjoyed the day that was so ably organized by Marv Sywyk (RMC ’68) and his team. Marv has indicated he will provide more details for a future eVeritas publication. Photo (L-R): Cajo Brando, Chris Hordal, Ken Lait, Pete Van Haastrecht, Pete McMillan Lea Vachon, Brian Fritsch, Dave Cudmore, Tom Epp, Mike Johnson and Paul Hession (missing from photo – Harry Mohr).